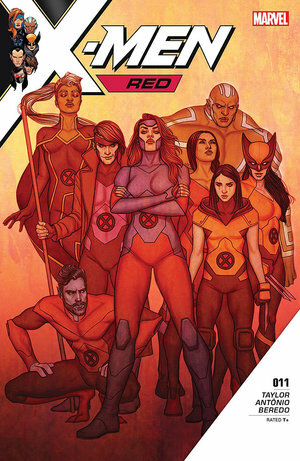 The following is a review I wrote for PopMatters for X-Men Red #11. 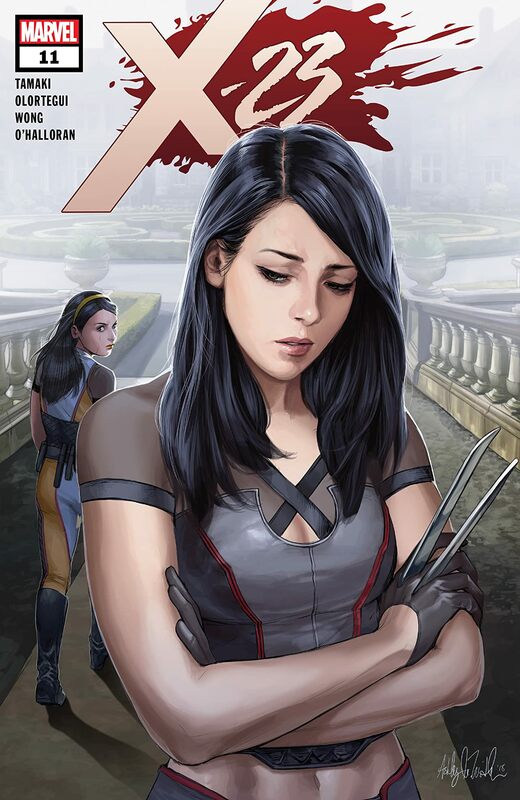 The following is a review I wrote for PopMatters for X-23 #6. Enjoy! 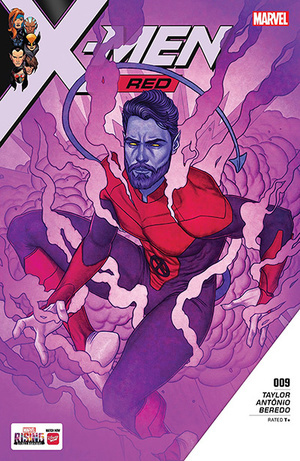 The following is a review for “X-men Red #9” that I wrote for PopMatters. Enjoy! What makes a character cute? That’s a not an empty question. It’s one that movie studios, TV networks, toy makers, and novelists attempt to answer every day. I’m not just talking about the ones affiliated with Disney, either. While the House of Mouse is legendary for crafting a winning formula for the creation of all things cute and lovable, it’s worth breaking down the components. Understanding them isn’t just important for creating likable characters. It can be pretty damn lucrative too. Just look at the merchandise sales for “Frozen.” Cute, adorable characters sell. They sell a lot. Plenty has been written about the cuteness of characters created by Disney, Fox, and a multitude of Japanese anime. However, I’d like to single out one particularly adorable character. 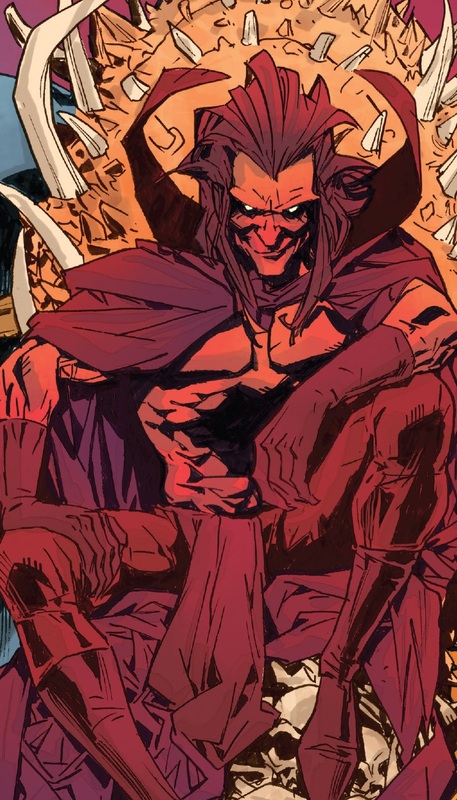 As it just so happens, this character is from the world of superhero comics. Specifically, she’s from the X-men comics. If you’ve followed this website for any length of time, this shouldn’t surprise you in the slightest. I promise this isn’t just another love letter to the X-men like the many I’ve crafted before. This is an exploration of a character who forged a unique path to cuteness. Her name is Gabrielle “Gabby” Kinney, also known as Honey Badger. You probably haven’t heard of her because, in the context of Marvel’s vast history, she’s very new. She has only been around for about three years. In that time, though, she’s done plenty to make her mark on the world. Think of the cutest characters you’ve ever known. Whether it’s a talking animal, a princess, or a boy band, take a moment to contemplate all the traits that make them cute. From their looks, their personality, their story, and everything in between, think about qualities that make them so adorable. Without hesitation, I can say Gabby has all those qualities, as well as a few you didn’t know could be so adorable in the first place. That may sound like a bold claim, but it’s true. After reading every issue of All-New Wolverine, I genuinely believe that she has raised the bar for cuteness for any character, both within superhero comics and in the real world. To appreciate why her story is so remarkable, it’s necessary to know some key details about her backstory. This should give you a few telling hints. On paper, she doesn’t come off as the kind of character who can be overly cute. 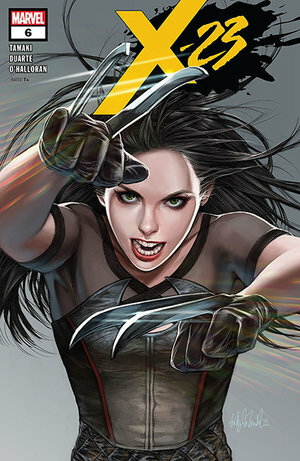 She’s a clone of Laura “X-23” Kinney, who herself is a partial clone of Wolverine. Given the number of clone-based character in comics, including a few who are notably infamous, she doesn’t have a lot going for her at first. That changes quickly after she’s introduced. She’s actually one of three clones from Laura, but she ends up being the one who makes the greatest impression and not just because she doesn’t go evil, which tends to happen a lot with clones in comics. From the beginning, Gabby sets herself apart as being the more upbeat, bubbly clone of the bunch. She’s not overly angry or vindictive. She isn’t even that bothered by the fact that she’s a clone. It helps that she’s just a kid, but it also helps that this has never been hidden from her. She knows what she is and doesn’t whine about it. That, alone, makes her more mature than the majority of adult heroes, even the non-clone ones. She even has a sense of humor about it. She doesn’t take herself too seriously. She doesn’t get too uptight in tense situations, either. That even includes dangerous situations that involve dragons, zombie animals, and alien parasitic bugs. Gabby sees the world through a rose-colored lens, regardless of how ugly it is, and this is the key to what makes her so adorable. 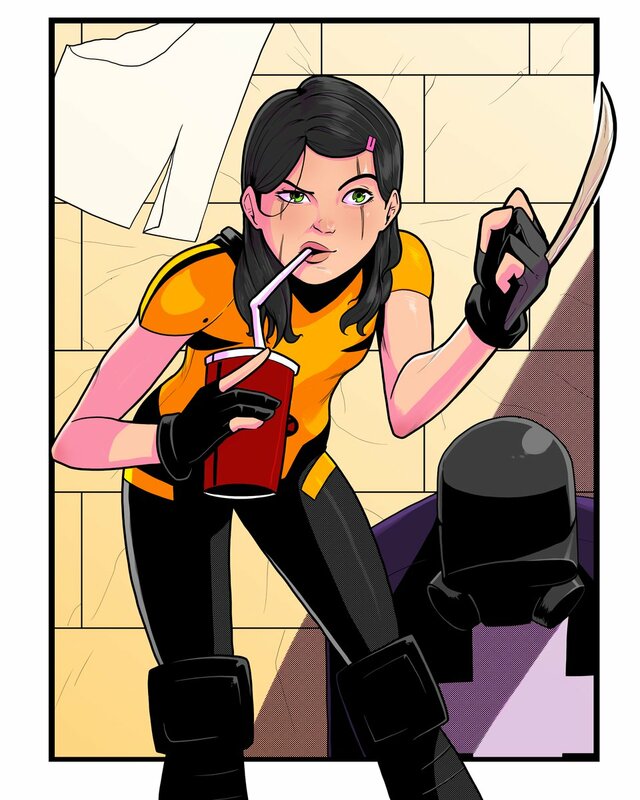 Whether she’s helping Laura battle Sentinels or caring for a pet wolverine, Gabby always finds a reason to smile. She’ll always look for the lighter side of a complicated situation and help others see it. That sort of thing is becoming increasingly precious in today’s overly-cynical world, but it’s especially powerful in the world of superhero comics. The very premise of any world involving superheroes requires that the world contain the kinds of chaos that can’t be contained with extra police and stiffer fines. In Gabby’s case, she inhabits a world full of evil organizations like Hydra, shape-shifting aliens like the Skrulls, and actual devil-like creatures that go out of their way to ruin marriages between iconic characters. The fact that Gabby can lighten the mood under those circumstances helps amplify her lovability. Make no mistake. She is disturbingly lovable. I say that as someone who was extremely sick of clone character at the time All-New Wolverine debuted in June 2015. 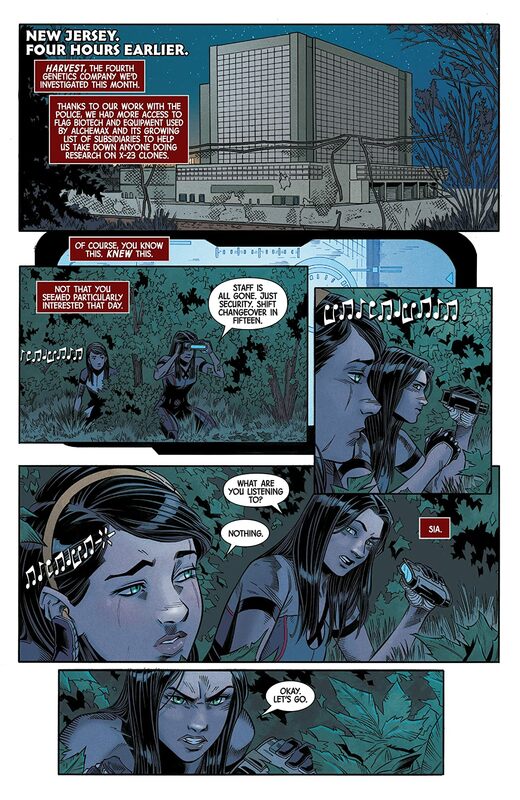 However, the writer of All-New Wolverine, Tom Taylor, went the extra mile with Gabby. It’s not just in the light-hearted jokes that she makes. It’s not just the fact that she’s a cute kid full of youthful innocence, despite having been cloned in a lab by assholes who wanted to make her a living weapon. Any character can just say goofy things and ignore the horrible crap going on around them. Where Gabby really shines is how she affects those around her. 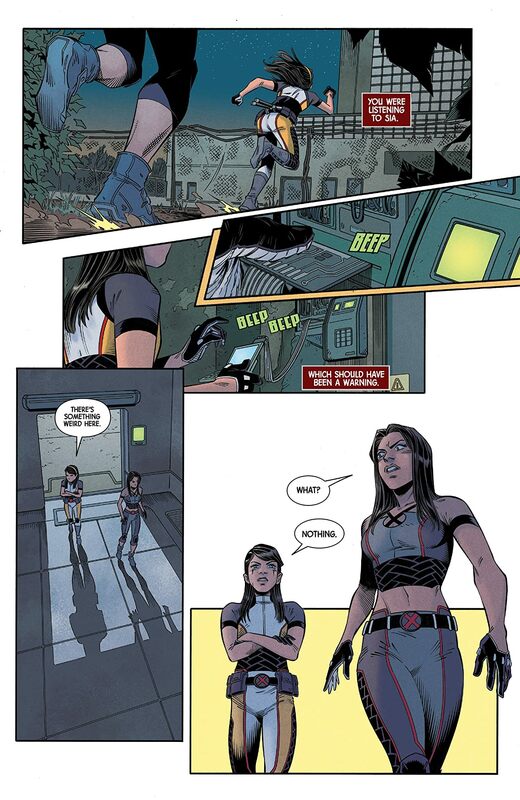 From the moment she meets Laura to her first hilarious team-up with Deadpool, Gabby has a positive influence on pretty much everyone she meets. She doesn’t get scared or overwhelmed by any given situation, even those involving parasitic aliens. She never lets these situations destroy her child-like innocence. That, in and of itself, sets her apart in a major way. In so many other stories involving cute characters, their innocence is treated like fine china. It’s easy to crack, easy to taint, and irreparable when damaged. More often than not, a big part of a plot surrounding cute characters is how they become corrupted. Tom Taylor basically turns that narrative upside down. 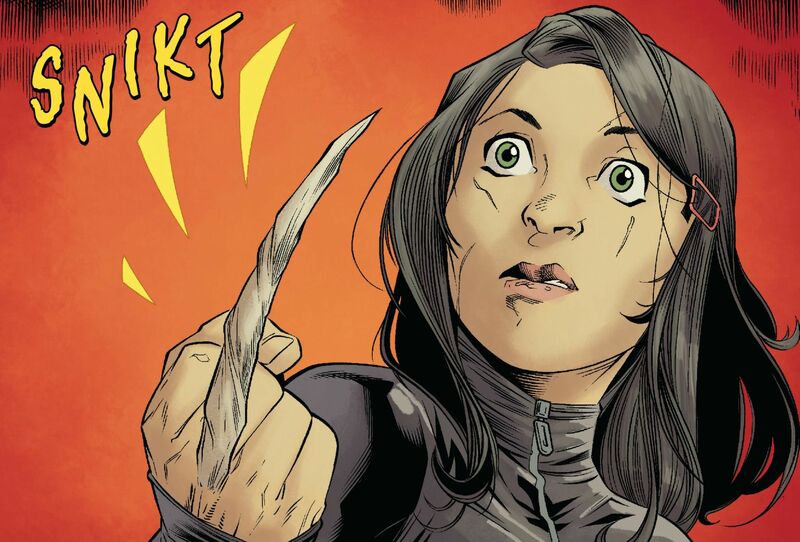 Rather than build the story around how Gabby loses her innocence, he essentially surrounds her innocence in an adamantium shell that’s every bit as unbreakable as Wolverine’s claws. 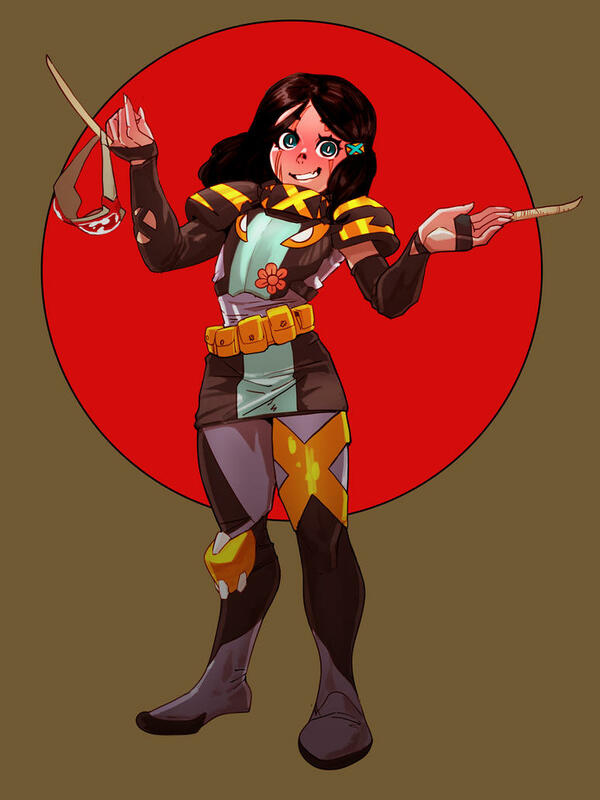 This is critical to what makes Gabby uniquely cute, but it’s also important to the presence she brings to the X-men comics and the larger Marvel universe. Instead of having everyone try to protect her innocence, she basically has to shove her cuteness in their face and remind them that she doesn’t need protecting. In fact, they need her more than she needs them. She gives them a reason to laugh and smile after Hydra has taken over the United States. She gives them a reason to feel good after the Red Skull comes back to life yet again to bring old-fashioned fascism to the world. She goes out of her way to be a positive presence on everyone she encounters. However, it’s her impact on Laura where her cuteness becomes genuinely endearing. To appreciate why that matters, it’s worth recalling just how dark and brutal Laura’s story has been thus far. That story has closely followed that of her predecessor, Logan. She was born in a lab, subject to dehumanizing treatment, and turned into a living weapon. Unlike Gabby, she didn’t escape it until she’d committed soul-scarring atrocities, one of which included the death of her mother. Since her introduction in the memorable, yet underrated “X-men Evolution” cartoon of the early 2000s, Laura has personified a worst-case-scenario for a cloned character. Her life, her story, and her personality are driven by loss, anger, and sorrow. Then, Gabby comes along and suddenly, there’s a light in her life. Gabby is like a breath of fresh air to someone who has only been breathing smog for all their life. She’s like a hot shower after spending 4 hours shoveling snow in a blizzard. She provides an overdue balance to long-suffering characters like Laura that it’s more than just refreshing. It’s cathartic. Gabby helps give Laura and her story something that benefits them both. She creates an outlet from the endless string of tragedies that plague the Marvel universe and the real world. She dares Laura and those following her story to not let all that ugliness destroy all that is good and pure. A cloud of darkness doesn’t have to cover the entire sky. There’s always room for a ray of light. Gabby is that ray of light. Cute, adorable characters tend to shine brighter than most. That’s what gives them such a powerful presence. Whether it’s in a Disney movie or a superhero comic, they illuminate the darkness and make the characters around them do more than just lament. The fact that Gabby does all of this and cares for a pet Wolverine makes her a special kind of cute. 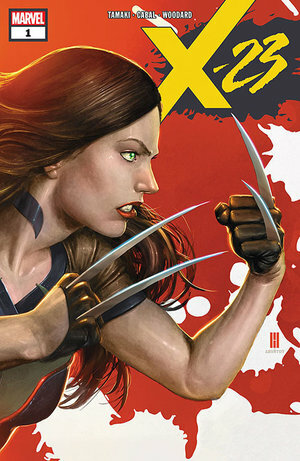 The following is a review I wrote for PopMatters on X-23 #1. Enjoy!